Switzerland reaches the stars with Victorinox. The weather-balloon was launched nearby Winterthur in Switzerland. The ballon went up and up to the stratosphere and at 30’000m it bursted. And it was amazing to see the fall. The video was recorded thanks to a small GoPro Hero 3+ with a GPS tracker that would send every 10 minutes a SMS to the mobile phone. 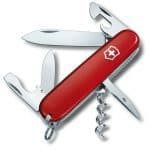 Victorinox will always your best companion for everything. For years, Victorinox is an official supplier of Nasa as part of the official standard Astronautes equipments. When it comes to outdoor adventure you can be sure that Victorinox will not let you down. 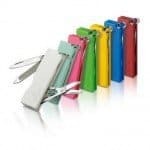 The small red Swiss Army knife did not finish to surprise you. 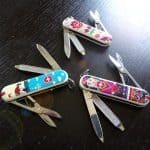 The Pocket-knife used was a Swiss Army Knife Classic 58mm red 0.6203. Here are some pictures “behind the scenes from the launch. As the old song used to say: When the going gets tuff, the tuff get going. Well done Samuel and Victorinox. 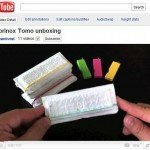 Info sourced at Samuel Youtube channel and victorinox.com. All content is copyrighted with no reproduction rights available. Victorinox Slim – A “cutting-edge” elegance. 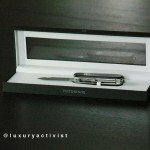 Victorinox Classic Limited Edition 2016 – Design rules.